You are here: Home \ Environment \ Health \ Stench that Breeds Danger! Garbage, the sound of it is nauseating and unpleasant. It causes us to image all somewhat unimaginative, filthy trash that lies untouched on streets until the following morning and many a times, even after a year or so. That is Garbage to you and a disease to the fragile nature that is struggling with myriad of issues left unsettled by modern-day mortals. While you may rant about how disgusting the sight and smell of garbage is but have you ever wondered knowing about them, particularly their disposal? Honestly, most of you have never. 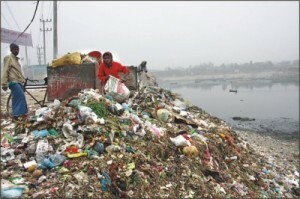 This article, however, will give you some insight into waste disposal in India. It must be kept in mind however eco-friendly you may be, your ideas may not be of much help to India, which is indeed a developing country shorting both in technical expertise and sadly, financing. Therefore, waste disposal is mostly an overlooked area and shockingly, India’s garbage generation stands at 0.2 to 0.6 kilograms of garbage per head per day. Before we jump to commonly used waste disposal methods in India, shall we count some waste producing activities? It is important because most of them cannot be immediately eradicated. It is probably the most common thing you would find in India, especially in rural or under-developed areas of the country where children, and many a times, adults would openly defecate on streets. In ordinary conversation, you would find people complaining about how lack of education results in such activities. Ironically, you would find even educated persons urinating on streets. They would shamelessly urinate on walls of the house! Sanitation problem in India is grave, however, central and many State governments have endeavored to eliminate this evil. Recently in 2012, Sikkim became the first State to achieve open-defecation free status. Nirmal Bharat ABhiyan too has gained momentum to provide sanitation facilities across India. This category is extensive in nature and it will be difficult to elaborate it in this article. In a general perspective, it can be explained. European Business and Technology Centre has found that the Indian industrial sector generates an estimated 100 million tons/year of non-hazardous solid wastes, with coal ash from thermal power stations accounting for more than 70 million tons/year. Imagine the quantity of waste generated and consider the lack of land in India. Since India is a developing country, it lacks technical expertise on industrial management and techniques used are often money and resource consuming and generate great amounts of waste. There is also public apathy towards waste reduction that further aggravates the situation. Out of all kinds of waste generated, over 8 million tons/year of hazardous waste is generated in India. It kills and never warns. This is something we all generate in one way or another. Domestic waste is what which comes from household settlements. In India we produce 300 to 400 gms. of solid waste per person per day in town of normal size. The figure is 500 to 800 gms. per capita per day in cities like Delhi and Bombay. In fact, most of the domestic waste produced is as hazardous as industrial waste. 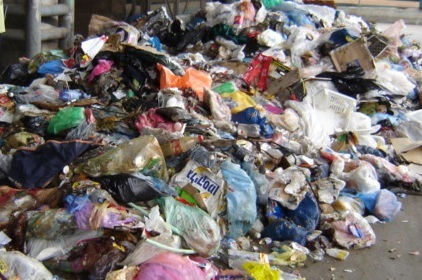 The above mentioned categories are most common wastes found in india and their disposal is a major issue. Not going into the depth of efficiency and inefficiency of the existing methods of disposal, let us go through some common methods of waste disposal in India. Most of you must have read about it during your school lifetime. It is a common and the oldest method of waste disposal. 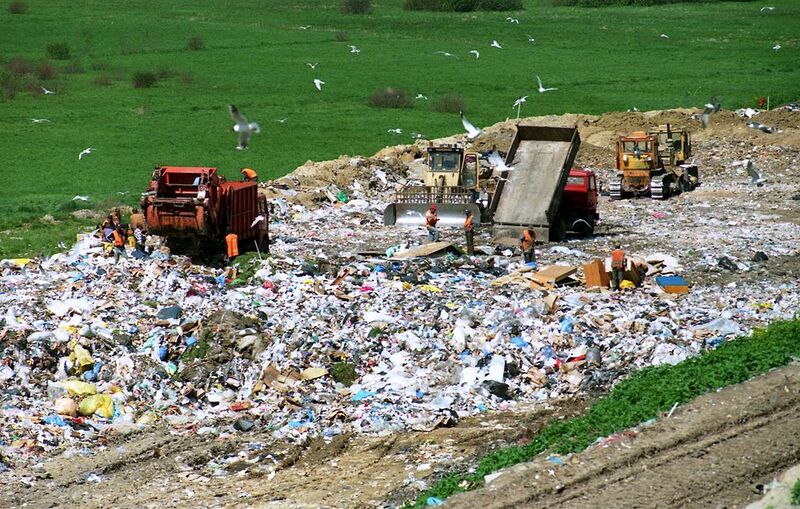 Landfill is a area wherein waste products, both organic and inorganic, are dumped and covered with ground soil. 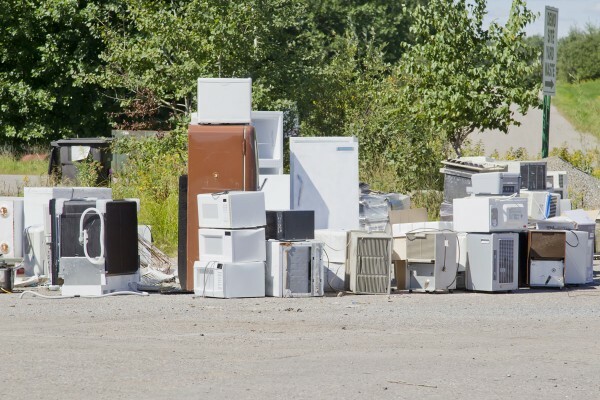 Often, most of the dumped products do not even undergo recycling process. 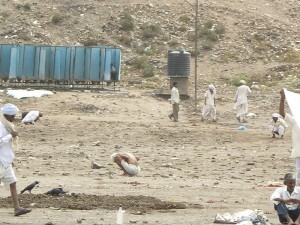 Because of increasing waste generation in India, lack of land for such sites is becoming a problem. The Energy Research Institute estimates that 1400 sq. km. of land would be required by 2047 for municipal waste! This shows how urgent the situation is becoming. 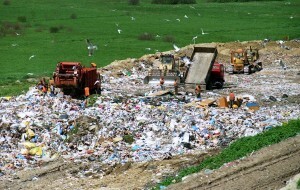 Waste is being dumped through landfill method. This is picking up the trend because it seems more convenient than landfill. Just simply throw the waste into river and forget. An example can explain how it affects the water bodies in general. “Cities those are fortunate enough to have a river passing through them, have an additional dump for all their garbage. The state of the Yamuna River in Delhi is a testimony to this fact. The river practically doesn’t flow at all. Expansive white deposits can be seen on their surfaces that prevent the flow. The deposits are nothing but toxic wastes that have reacted with the water. Practically no living creature lives in this section of the river”, writes Harshini Shanker. Environmental laws have been rendered ineffective and industries, especially, are in complete defiance to them. Without examination of the waste before release, they dump the waste into river that consequently results in grave danger to all kinds of life forms. Wastes are destroying the fragile water environment. The aforementioned two methods are the most common ones. There are other methods like compost, recycling but they are not as popular as these two. The point is that India clearly lacks efficient technical know-how and public awareness. It is necessary for the government to think about it before it is too late. The Central government must drive waste disposal programs faster and with more efficacy. Budget must be increased or else no matter how hard State governments, local and non-profit institutions try, achievement of success may be grossly delayed. In conclusion, it would be best to state a wonderful quotation by President Lyndon B. Johnson.